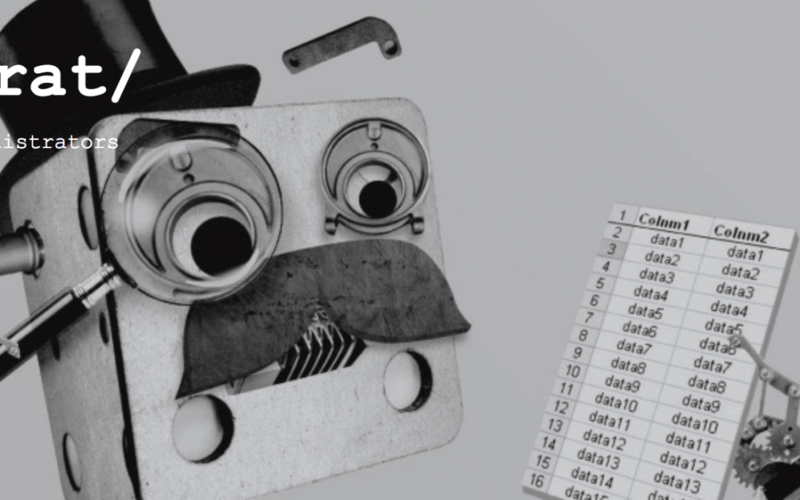 autoCrat is another add-on for Google Sheets that is changing the face of education. At first glance, it might not seem like that interesting of a tool, but it’s many applications make this a super valuable add-on! autoCrat is another neat invention of CloudLab, one of the leading innovators in the add-ons for Education developer space. 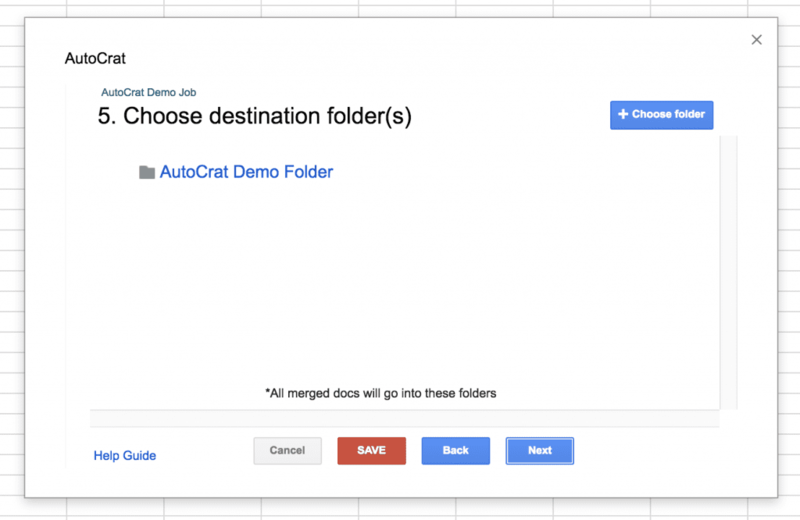 autoCrat is an add-on that allows you to merge information from your spreadsheets into other formats, like documents or PDFs. It has a simple user interface that makes formatting, storing, and sharing information a breeze. 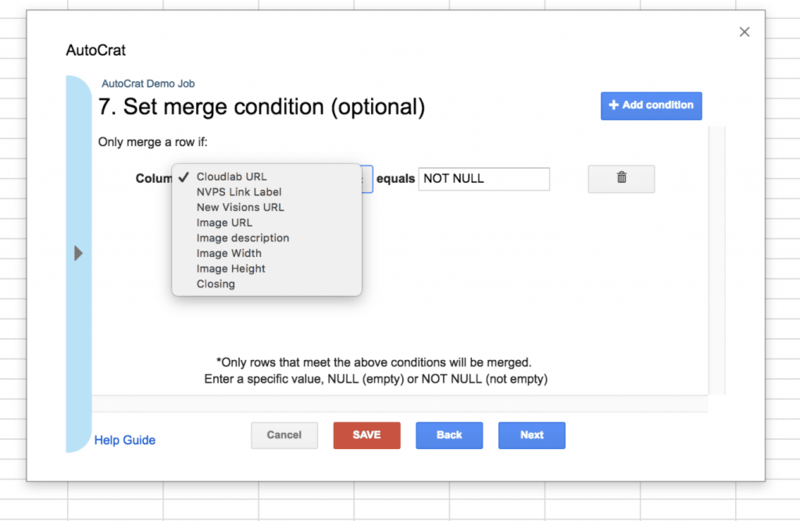 Anyone who uses Google Sheets as access to autoCrat, it is a free merge tool that is available in the add-ons store. Although autoCrat was designed for teachers and administrators, just about anyone can use it to automate processes. It is also loved by students, researchers, and businesses. With autoCrat, you can take information stored in spreadsheets and easily convert it into a Google Doc, PDF, or even a slideshow! 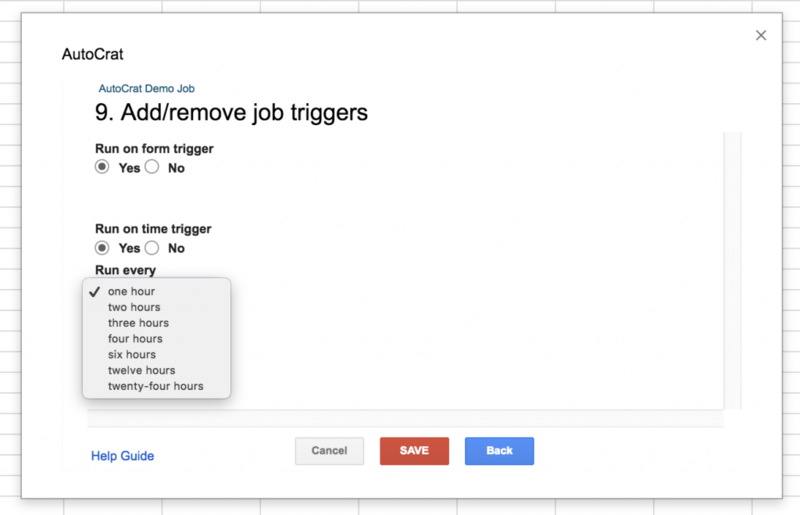 It sounds simple, but many people are taking this tool and using it to enhance their workflows so they can free up time for more important tasks! It is really simple to get add-ons for Sheets! The fastest way to get autoCrat is to click this link that will take you directly to the web store. 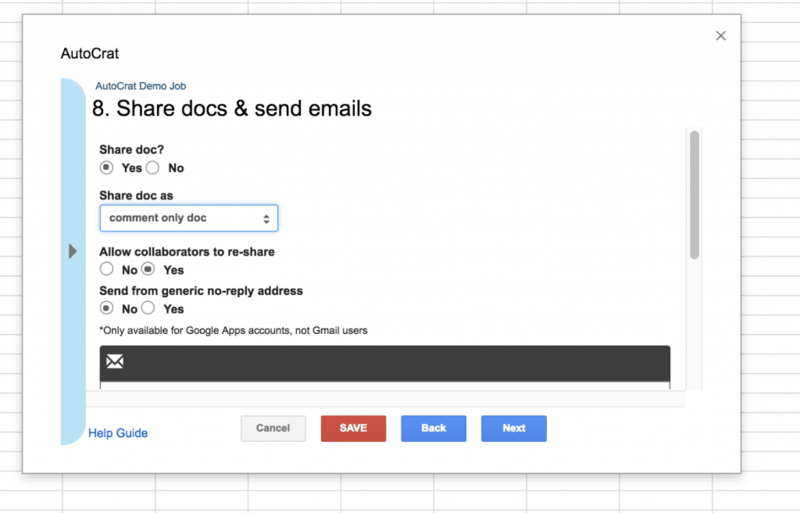 Simply click the ‘Free’ button and the add-on will be added to your Google Sheets account. 5. Type “autoCrat” in the search box. 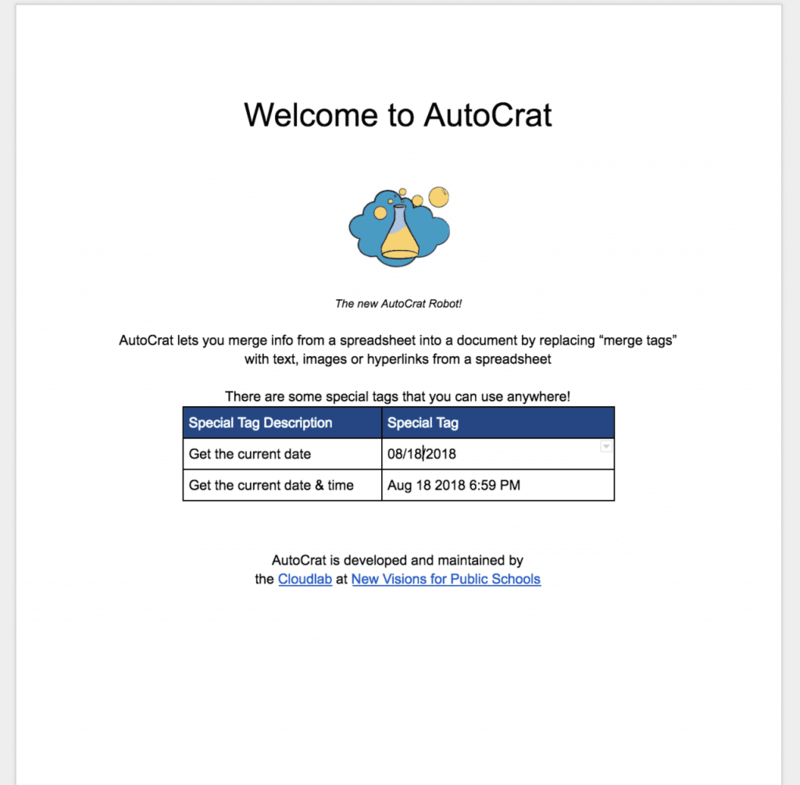 You are ready to start using autoCrat! 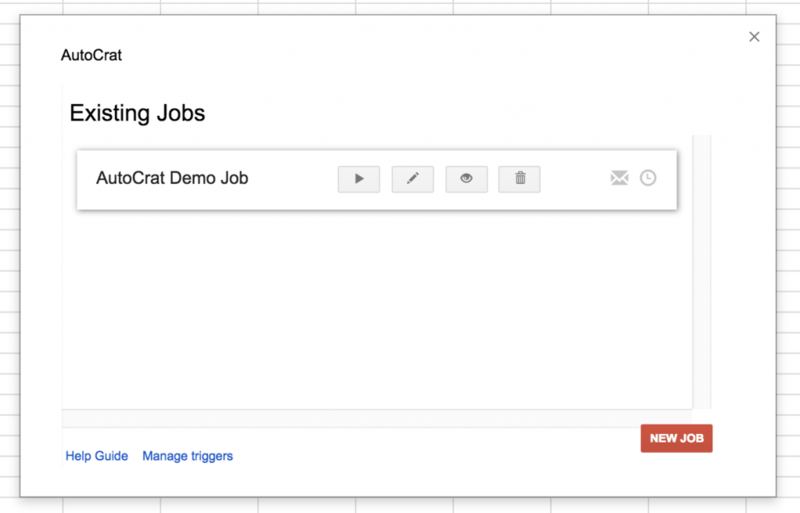 autoCrat will load, and prompt you to create your first merge job! There is no sidebar in autoCrat anymore, they got rid of it and swapped it for a dialogue box that takes you step by step through the process of each merge. 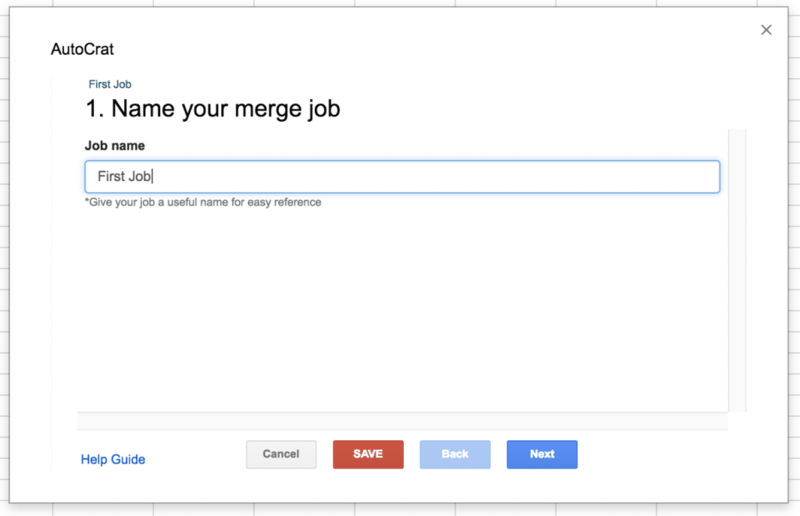 Click New Job, then you will be prompted to give your first merge job a name! After naming the job, click Next. In this step, you will need to choose a template for your merge. Today we will choose to have autoCrat create an example template for us. 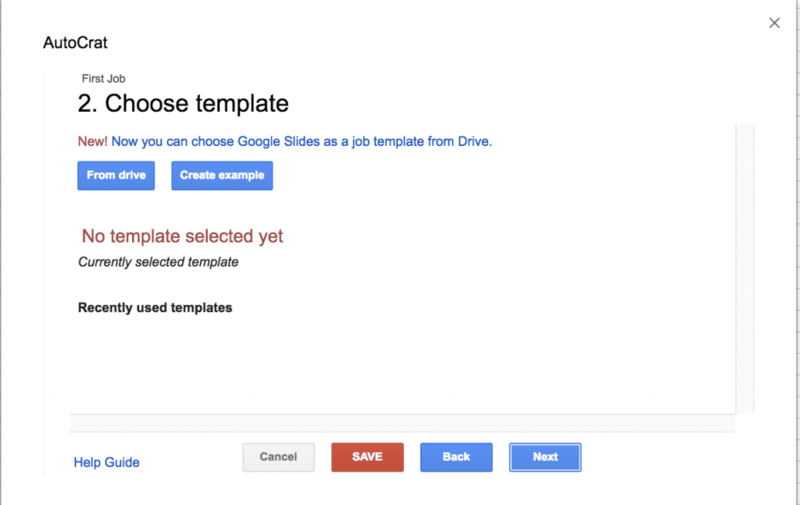 When you create your own templates, you can save them to and select them from your drive. In the past, autoCrat only worked with Google Docs, but now it also integrates with Google Slides. This is really exciting for users who want to create custom presentations from within spreadsheets. 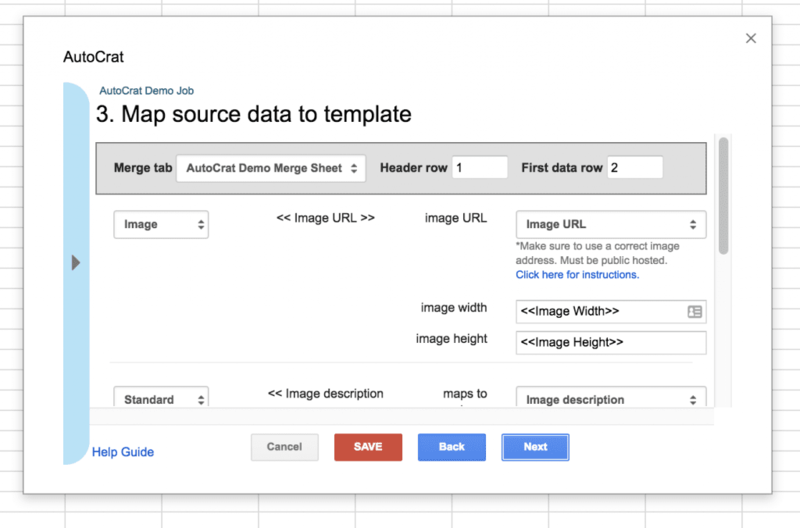 In this step, you need to “map” the source data from the spreadsheet to its correct place in the template. You can choose from standard text, hyperlinks, or images. You will need to create a corresponding tag for each area of the Doc or Slide you want information to be populated into. Next, give a file name for the output document that the add-on will create. Select a folder in your Google Drive that the document will be inserted into. Optional Set conditional rules for your merge. For example. If you are sending out a letter about grades from a student roster, you may choose to only send out letters to students who are receiving failing grades within the course. Next, we will select editing/commenting and sharing settings for our merge, and then send out any emails to anyone we may want to share the Doc or Slideshow with. For the last step of the merge set-up, we have the option to choose if we want this merge to run based on any specific triggers, like a form submission or at a designated time interval. Some users can fully automate certain processes using these triggers. For example, you can have students submit essay questions via Google Forms, and their answers will populate into a Google Sheet. Reading these answers within a sheet cell could obviously be quite cumbersome! You can set a trigger so that the students submissions are merged right into a PDF or Doc, that go into a specific class folder. Use automatically generated Docs to for grading, commenting, or even peer review! After specifying triggers Press Save. Final step! Ok—that does it! 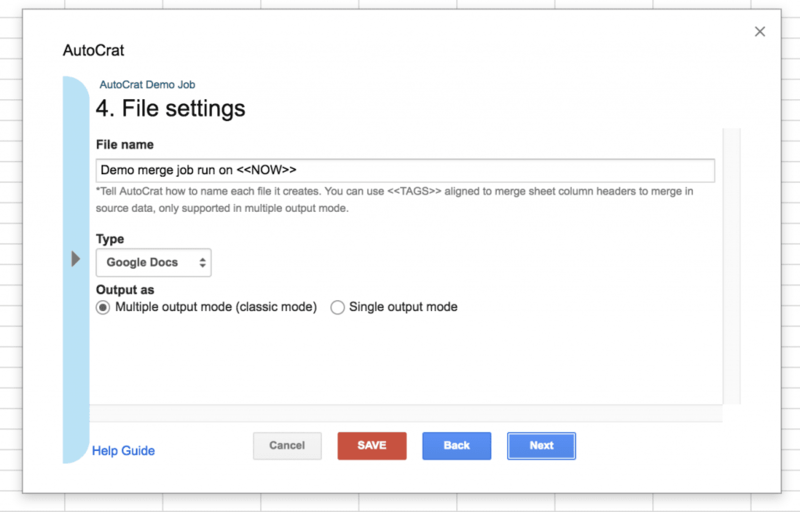 Your first autoCrat merge has been set up, and will now be displayed as an existing job when you run the add-on. Click the play button symbol to start the merging sequence. 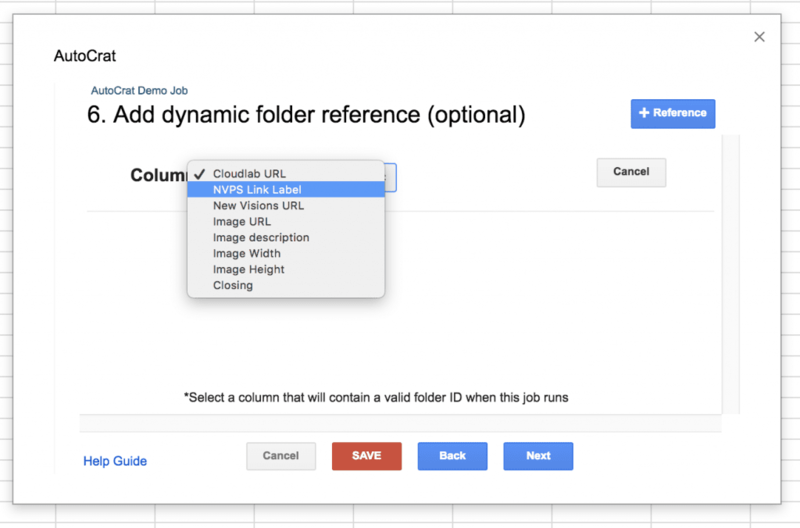 You will see your Google Sheet change a bit—now there will be a cell with a link to the Doc that was created for this demo.